Minnie Gordon Sloan was a daughter of Ray’s Mill farmer James M. Sloan and Martha Gordon Sloan, born July 17, 1876. She married Meritt (or Merritt) E. Johnson on January 17, 1904 in Berrien County, GA. Meritt Johnson was born January 22, 1878 in Berrien County, GA and raised in Rays Mill (later Ray City), GA. He was a son of James R. Johnson (born February 1, 1858 in Johnson County, NC; died May 17, 1928 in Lakeland, Lanier County, GA) and Mary Elizabeth (Truett) Johnson (born July 7, 1848 in Jackson County, MS; married April 1, 1874 in Berrien County, GA; died June 6, 1915 in Lakeland, GA); he was a brother of James Randall Johnson, subject of previous posts. Marriage certificate of Merritt E. Johnson and Minnie Gordon Sloan, January 17, 1904, Berrien County, GA.
After marriage, Minnie and Meritt made their home on Main Street in Lakeland, GA, where they maintained their residence for many years. According to Georgia’s Official Register, 1937, Meritt E. Johnson was a product of local Berrien County schools and studied law on his own at home. He taught school for five years before being admitted to the bar. He was a Baptists, Mason, Odd Fellow, Knight of Pythias, Woodmen of the World, and member of the Farmers’ Union. From 1901 to 1908 he served as Justice of the Peace. From 1904-1908 he was on the Berrien County Board of Education, and from 1910 to 1916 he was a school trustee in the Knight school district. In politics he was a democrat; he served as city councilman in Lakeland from 1919 to 1926 and as city recorder form 1929-1931. He was solicitor in the Lanier County Court from August 15, 1929 to August 15, 1933 , and again from August 15, 1935 to August 15, 1937. Census records attest that Meritt wasn’t always so bookish. In 1910 census of Milltown, GA, he was working as a carpenter, building houses. In 1920, he was a barber, working on his own account in his own shop. Some time before 1930, son Julian A. Johnson took over the barbershop, and Meritt Johnson entered legal practice in Lakeland. Ruby Texas Knight entered this world on October 11, 1891, a daughter of Jimmie Gullette and Walter Howard Knight. She was married to James Randall Johnson on April 21, 1910 and the couple made their home next door to her father’s place on the Valdosta Road, Ray City, Georgia. Ruby Knight Johnson died June 17, 1977 and was interred at Beaver Dam Cemetery, Ray City, Berrien County, Georgia. 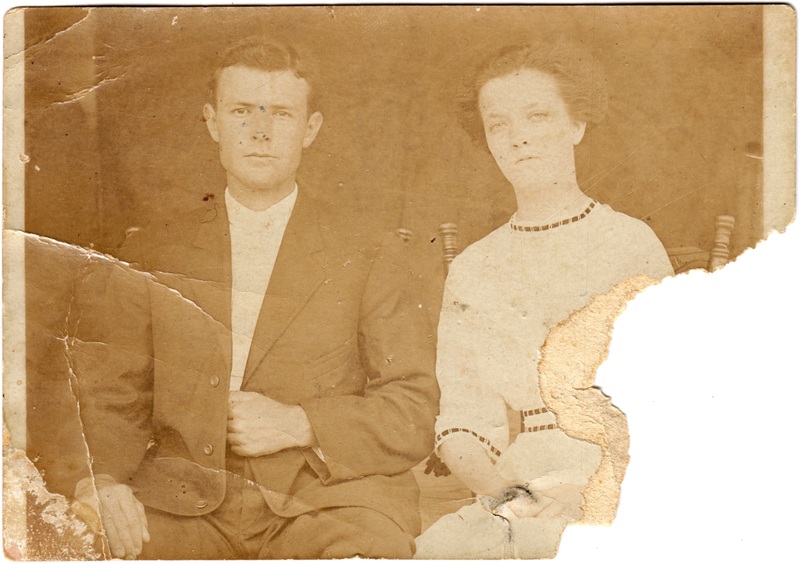 James Randall Johnson was a son of Mary Elizabeth Truett and James R. Johnson, born November 8, 1886 in Berrien County, GA and raised in Rays Mill (later Ray City). He was a younger brother of Meritt E. Johnson, who later served in various public offices in Milltown, GA. As a young man, James Randall Johnson worked as a farmer. The census of 1940 shows James Randall Johnson and Ruby Texas Knight renting a house on North Street in Ray City. At that time James was working as a carpenter, constructing houses. He died March 14, 1955 and was buried at Beaver Dam Cemetery, Ray City.